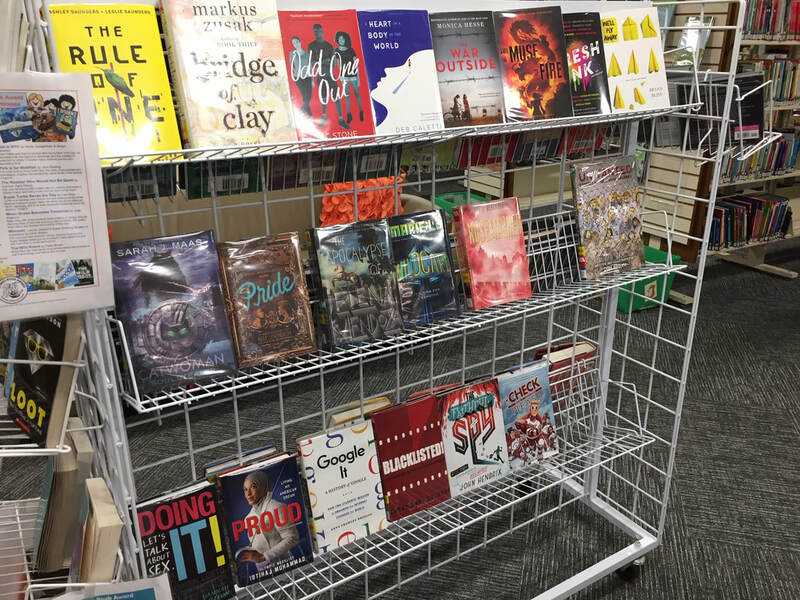 Hey teens - we have so many new books for you! 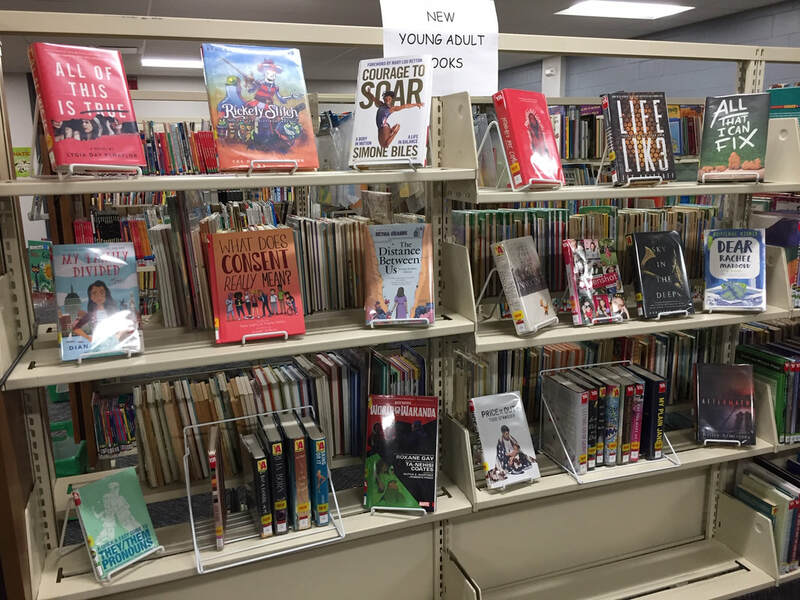 We've recently added a great mix of young adult fiction, nonfiction, and graphic novels, with more on the way. Look out for some new nonfiction sets coming soon featuring important topics like how to deal with discrimination, sexual assault, family issues, drug and alcohol abuse, homelessness, the threat of deportation, and much more! Vote now through October 13 for your favorite teen novel of the 25 nominees for the 2018 Teens' Top Ten. Check out one of these from the library today! Join us at the library on Friday, October 12 at 3:00 pm to have pizza and watch a classic teen movie from the '80s, Sixteen Candles, and discuss how things have changed for teens since then and why the movie has been a topic for conversation in the #MeToo movement. We have several special programs at the library this summer that you might like! Maker Mondays: Every Monday from 2:30-4:00 PM, July 2 - August 20. Come explore engineering and build at the library. We have LEGO®, KEVA Planks, littleBits, and more. Game Time: Wednesday, July 11 & August 15 from 3:00-4:30 PM. Grab your friends and come play with our Wii, iPads, and board games. Stepping Stones: Wednesday, July 25 at 3:00 PM. Make a stepping stone out of quick cement and found objects to create an original piece of art. Space is limited, so you will need to register, either at the library or by calling the library at 860-465-3082. Rock'n Nature Animal Show: Tuesday, July 31 at 6:00 PM. Learn all about animals who sing in nature. Meet live birds, insects, and frogs, listen to their amazing sounds, and try to imitate them. Henna Program: Thursday, August 9 from 6:00-7:50 PM. Learn about the art of henna and get a professionally applied henna design! Space is limited, so you will need to register, either at the library or by calling the library at 860-465-3082. Are you in Windham Middle School? We have two book talks you can attend for extra credit! Book Talk - Top Prospect: Thursday, July 26 from 6:00-7:00 PM. Read Top Prospect by Paul Volponi for Windham Middle School's Summer Reading Challenge and then join us and WMS librarian Ms. Grabek for a book talk and pizza, and earn extra credit too. Please register so we know how much pizza to get! Book Talk - The Final Four: Thursday, August 23 from 6:00-7:00 PM. Read The Final Four by Paul Volponi for Windham Middle School's Summer Reading Challenge and then join us and WMS librarian Ms. Grabek for a book talk and pizza, and earn extra credit too. Please register so we know how much pizza to get! Here you'll find all kinds of info and resources for teens.